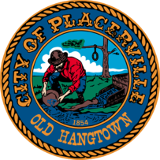 Facilities - Maintenance of Placerville Station Park and Ride, Placerville Aquatics Center, Town Hall, Scout Hall, Gold Bug Park and Mine, and City Parks. Parks - Operation of: Historic Gold Bug Park and Mine, Lions Park Softball Complex, Lumsden Pond, El Dorado Trial, Placerville Aquatic Center, and neighborhood parks. Public Works - Operation and Maintenance of City streets, water and sewer system, and storm drain maintenance. Recreation - Management and operations of: Youth and Adult Sports, Leisure Enrichment Classes, Camps, Aquatics Programs, Special Events, and Facility Rentals. NOTICE IS HEREBY GIVEN that sealed Bids must be received no later than 3:00 p.m. on Thursday, March 7, 2019, at Town Hall, 549 Main Street Placerville, for the “lot” of surplus property located at Gold Bug Park. Bidders will be placing one bid for the entire “lot” of surplus property. Surplus property includes power tools, hand tools, and miscellaneous items. It is the bidder’s responsibility to insure that the entire “lot” is removed from the site 30 days after the sale and that they sign a release of liability. A Pre-Auction walkthrough will be held Thursday, February 21, 2019 from 9:00am-10:00am at the Meagher House, 2635 Gold Bug Lane in Placerville. Bids will be opened at 3:00pm on Thursday March 7, 2019 at Town Hall, 549 Main Street, Placerville, CA 95667, for more information please call (530) 642-5232. For a list of surplus property click here. To submit a bid please complete and submit the Meagher House Auction Submission form. Agreement For Sale of Property-Meagher House Auction.